VRise Securities is a key player in the stock market with hundreds of VRise Securities Sub Broker working under them across India. Vrise Securities is a well-known share brokerage house in Mumbai and it has been in the business for almost three decades now. So, the experience of the company is what makes it more valuable and worthy of investment. This article will focus on all the areas of this company starting from the customer ratings and its analysis than the history of the company and then the business models which will include the details of Vrise Securities sub-brokers, revenue sharing process, infrastructure requirement, deposit or cost of business partnership and other details. The next part of the article will elaborate on the brokerage plans and the important fee and charges that are levied while trading shares. With almost 30 years of experience, the company has become a pro in handling the clients and the customers which is evident from its 2.5 rating of the customer experience column. The services are also well appreciated by the customers as it seems from the 2.4 rating out of 5 in that column. The nest rating drops to 2.2 for the products which the company sells and this indicates that the company needs to work on its products to bring in more customer and make the existing customers happy. The trading platforms seem to be quite advanced and upgraded and help in smooth trading as it has been rated at 2.6. Sub-brokers seems not happy with the revenue they get and the amount of deposit they need to keep with the company may be the company needs to revise its revenue sharing model and the requirement of security deposit. The type of support they get seems they are satisfied with the same and with the offers as well as both are rated with a 2.4 rating. The overall rating for the company is 2.3 which is regarded as an averagely fair rating according to the market. The Vrise Securities is a private venture founded by Rakesh Kadakia in the year 1990 and it has been running since then without looking back. The company has it’s headquartered in the city of Mumbai which is regarded as the financial capital of the nation. The company has been working as a full-service broker and it has a lot of sub-brokers working under it. The sub-broker code activation time is 30 days and the payout time is 35 days. As per the Vrise Securities sub-brokership business model the company gives permission or license to work as their sub-broker in different parts of the country/city and acquire clients on their behalf. These clients and customers need to make the investment through the Vrise Securities and then the company will be able to generate revenue. This revenue will be shared between the sub-broker and the company in a distinctive ratio which is decided by a certain factor which is going to be discussed in the next section of this article. The Vrise Securities revenue sharing model is quite simple and it is based on the amount of security deposit the sub-broker keeps with the company. The company shares a minimum of 50% of the revenue generated by the sub-broker with them and the percentage can go up only when the amount of deposit goes up from the minimum deposit amount. 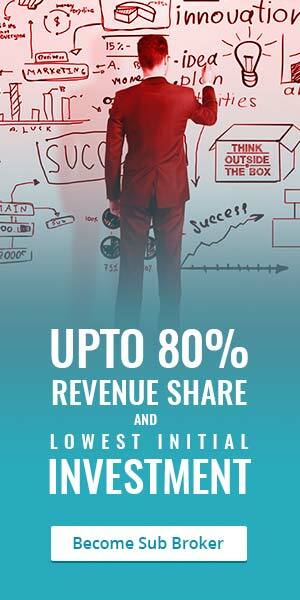 The maximum a sub-broker can earn is 75% of the revenue generated by him. The Vrise Securities security deposit amount that the sub-brokers need to keep is Rs. 50000 at the least and the amount can be increased up to Rs. 200000. So, the sub-broker can decide the amount in between this range as per the amount of capital he has in hand and also as per the financial aspiration he has. The office of the sub-broker must be spacious enough and it must have at least 100 square feet of area in it. The office must have all kind of facilities like internet facilities so that the customers and the clients can contact the sub-brokers whenever needed. The sub-brokers must have research services for the clients and customers. This helps in advising the best option for the customers. The office must be equipped with the trading terminals of the company as well. The company provides research services to the sub-brokers and also supply them with the research reports from time to time. Vrise Securities support ranges from marketing support to trading and back-office support. The company helps the sub-brokers in making good marketing strategies for their business and how to advertise the products with the sub-brokers. Similarly, if the sub-brokers are not able to do their back-office job and stuck somewhere, the company will be there to help in that situation. Trading support is also provided in case the sub-brokers faces any difficulty in trading. The dealing training is provided to deal with the clients and the customers in a professional manner so that they get interested in the business. For the equity intraday segment, equity futures segment, commodities and currency futures, the Vrise Securities brokerage charges are 0.04%. For the equity delivery segment, it is 0.36%. Finally, for the equity and currency options segment the charges are Rs. 36 per lot flat. One can open the Vrise Securities trading account free of cost and also maintain it freely. The annual amount that is payable for maintaining the Demat account is Rs. 250. The margin money that the investor has to keep in the trading account for the trading purpose is Rs. 1000 which is the minimum requirement. The transactions are charged at 0.00314%.